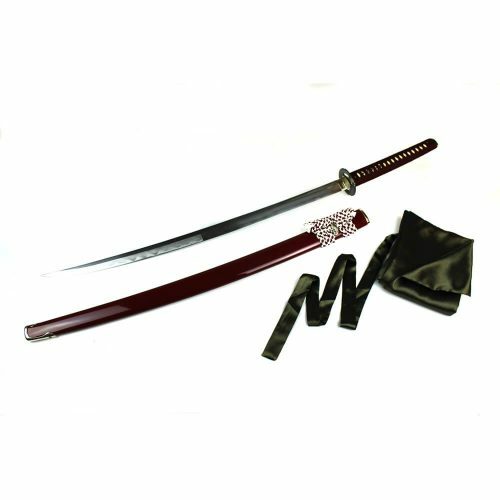 The Orasaku Zukuri Honsanamai comes with signed certificate, maintenance kit, and silk sword bag – Free ground shipping in the U.S.
Includes Signed Certificate, Maintenance Kit, and Silk Sword Bag! 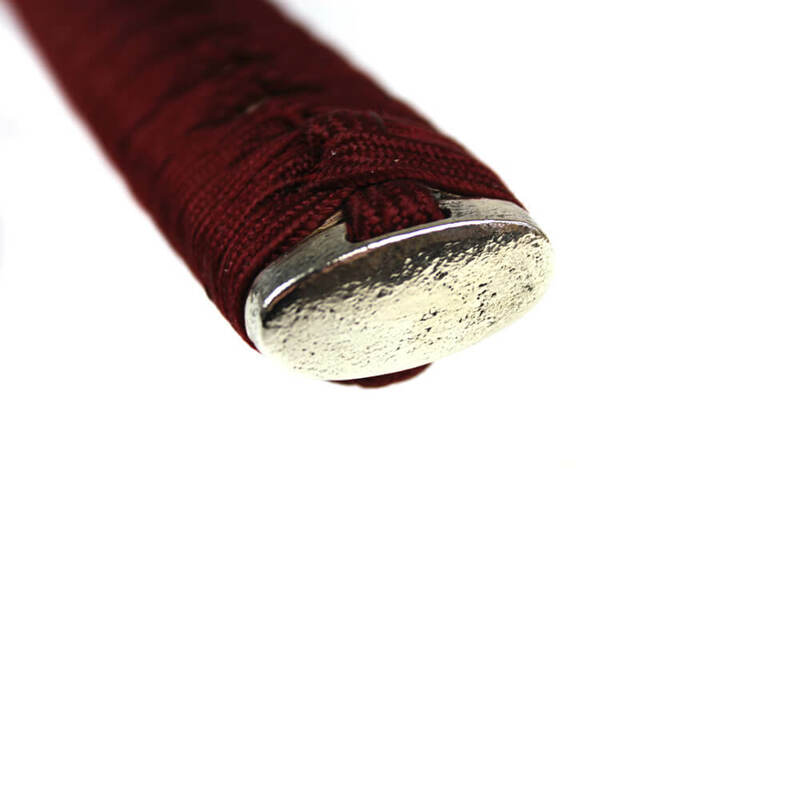 The Orasaku Zukuri Honsanmai Wakizashi ( S05W )is specially handmade and forged in the Yamato Nihonto tradition, which is considered to be the oldest tradition in Japanese sword making. 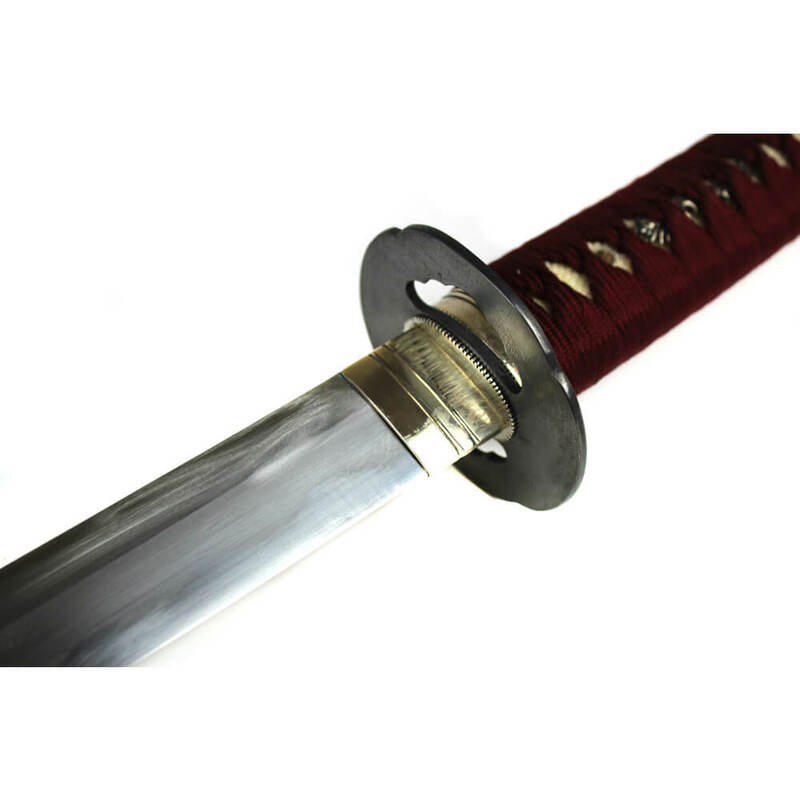 This forging method and the use of premium quality, high carbon Japanese steel and handcrafted silver fittings, makes the Orasaku wakizashi a standout among premium Japanese swords. 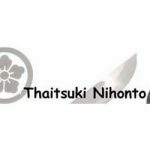 This latest work of art by Thaitsuki showcases the talents of their most experienced sword smiths. 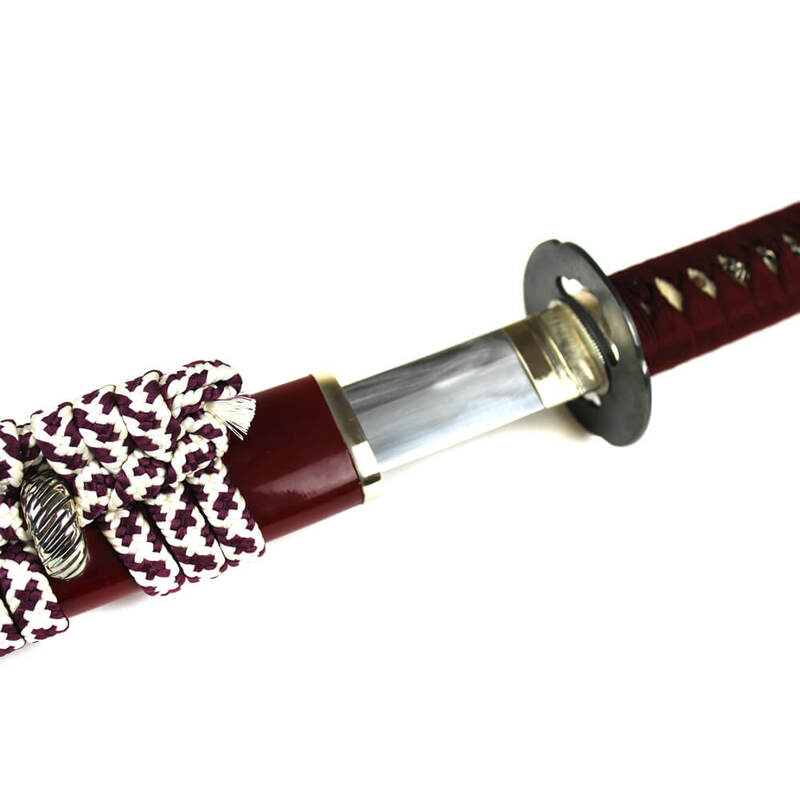 Painstakingly detailed, the Sanmai blade is hand forged and folded using high grade Japanese high carbon steel. The silver furniture is 100% handmade with outstanding attention to detail. 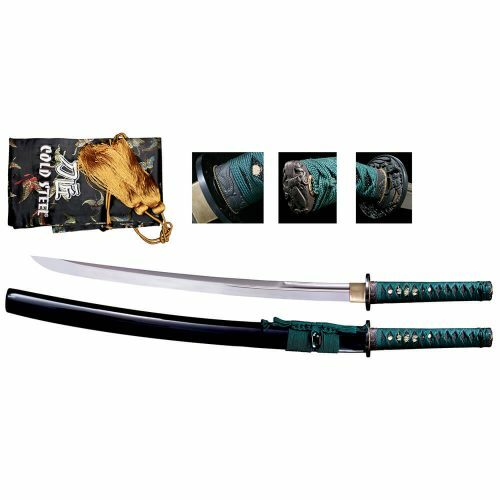 This heirloom quality wakizashi exhibits jewel like construction and is one of the finest wakizashis that we have ever had the opportunity to offer. 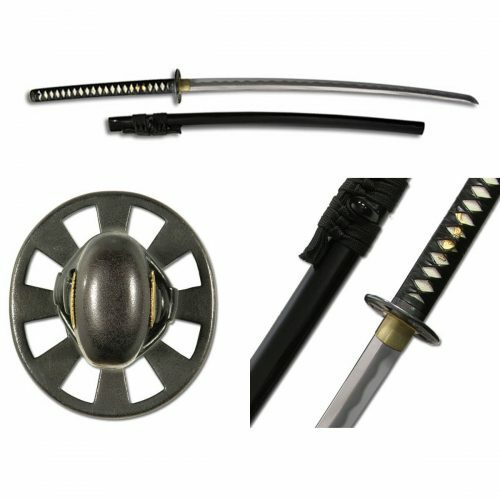 Hand forged, polished and sharpened, this wakizashi has an extremely sharp blade with Sanmai traditional structure with differential tempering to give the correct amount of flex/stiffness for excellent cutting performance and feel. 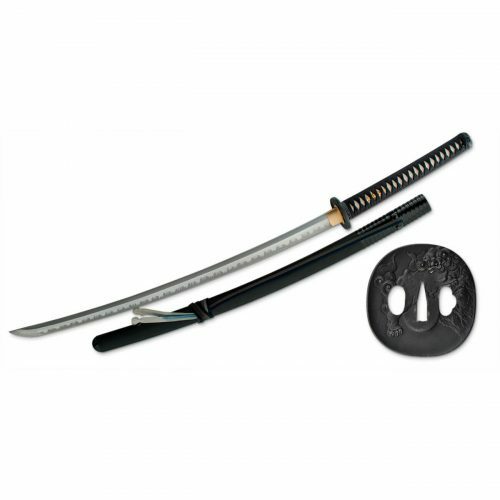 This wakizashi is a true full tang sword and double pegged for complete disassembly and maintenance. 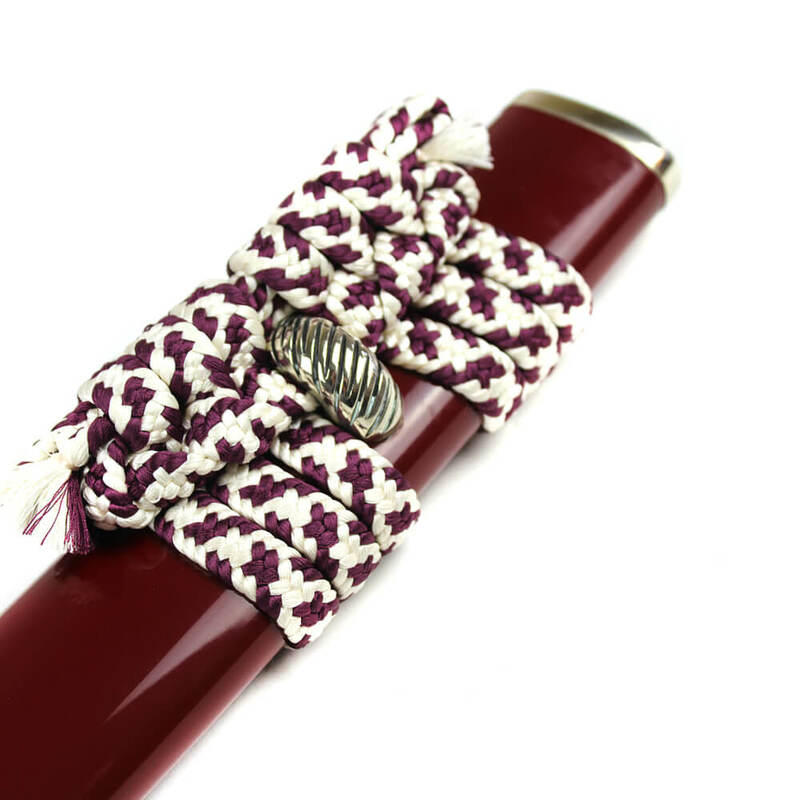 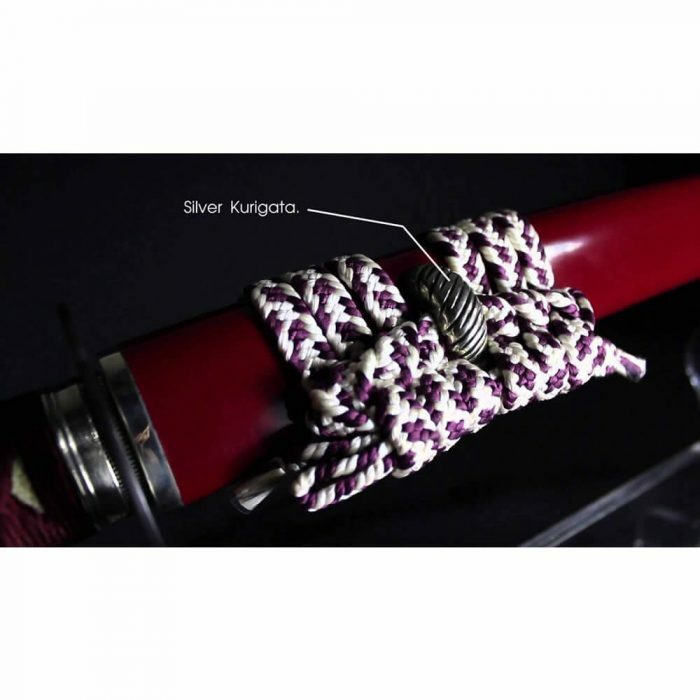 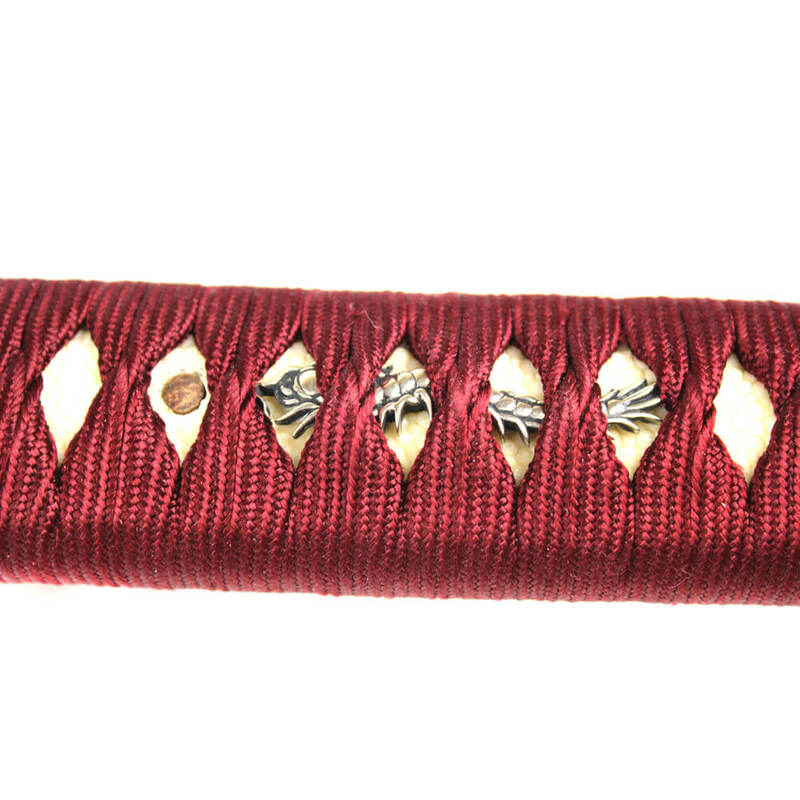 Hand crafted silver fittings and Japanese dark red silk over white rayskin wrapped tsuka round out this stunning wakizashi. 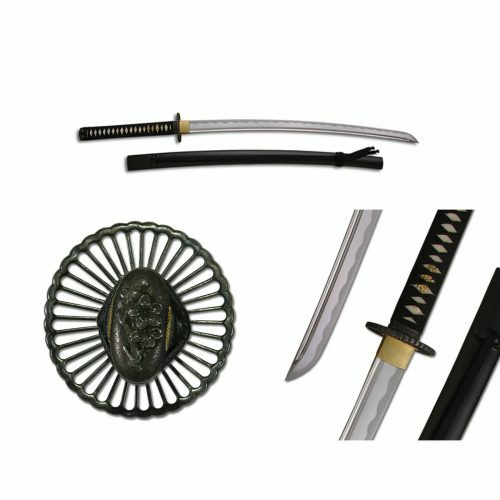 With it’s hand forged and folded Sanmai high carbon steel blade with 1024 layers, the S05 is among the upper echelon of high end, battle ready Japanese Swords for the collector or practitioner!